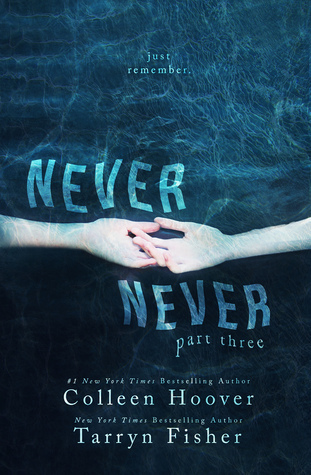 As I mentioned in this post, I’ve been waiting a long time to read this series of novellas, because I wanted to read a previous work of Colleen Hoover’s beforehand. 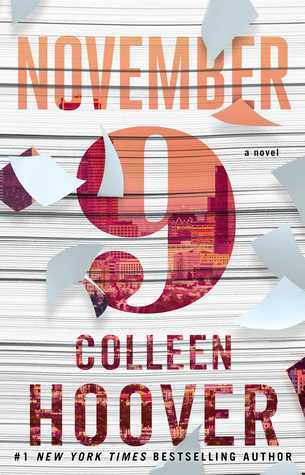 Whilst I kind of regret that – because I didn’t really enjoy November 9, and it gave me inhibitions about reading Never Never – I am glad I did, because it acquainted me with Hoover’s writing style. And, though I can confidently say it isn’t for me, I enjoyed this book nevertheless: The great plot beat out all the problems I had with how it was being told, which was something of a rarity for me. Because of my dislike for the writing style, this book was, at first, difficult to be interested in. For one, I felt like I was thrown in at the deep end, though that was more and more intriguing rather than hindering as the book progressed. 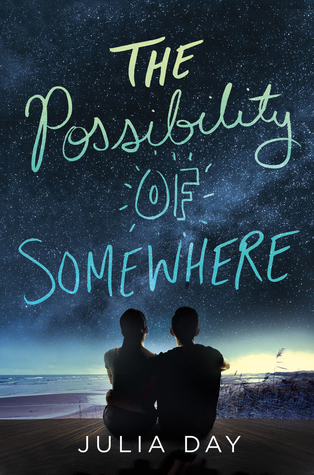 I liked the confusing aspect, because it brought the character’s confusion to life. Likewise, the mystery aspect was really interesting, and I loved how the plot developed for the characters as it developed for us – it was like a treasure hunt, a murder mystery evening, and I really enjoyed it. In addition, as lot is left to your imagination, which was really gripping, because I didn’t know if I was filling the gaps correctly, just as the characters didn’t know if they were. For definite, the story starts off quite slowly, and it isn’t until the latter half that it really starts to pick up. By the end, I was fully invested in the story, and so eager to continue with the series, especially after a killer cliff-hanger. As always, I’ll be honest with you: Book 2 is where this story starts to get ridiculous. As in, things start being a bit more surreal, idealistic, and – frankly – unbelievable. And I don’t mean unbelievable as in a dragon swooping into Westeros – in that world, it’s conceivable. I mean unbelievable as in winning the lottery, meeting Beyonce, and flying to the moon all in one day: As we’ve all come to accept, that just won’t happen. Despite this, I liked how complex the plot was, and how many strands were beginning to weave together. 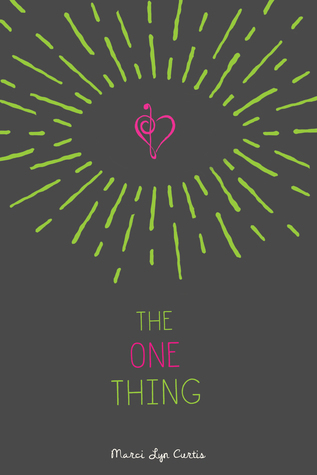 This instalment is definitely the most action-packed one, which meant I raced through it – I definitely couldn’t put it down, despite how ridiculous it was becoming. NEVER FORGET THOSE WHO PAVED THE WAY BEFORE YOU. NEVER STOP TRYING TO BETTER THE WORLD FOR THOSE WHO WILL INHABIT IT. Adults like to pretend that our feelings aren’t as big and important as theirs—that we’re too young to really know what we want. But I think what we want is similar to what they want. We want to find someone who believes in us. Who will take our side and make us feel less lonely. This instalment was definitely my least favourite. Actually, I think maybe this series started on a high, and just went downhill from there. But that’s not to say other people won’t enjoy it – it just wasn’t for me. Most of all, this book left me with a lot of questions. As in, unexplained events that just seemed to happen without reasoning. Definitely, I thought this series focussed on breadth as opposed to depth, which definitely hindered it – I just wanted more insight into the characters. Likewise, the ending was a giant cliche. It was just so cheesy, it was cringe-worthy. Ditto to the epilogue. 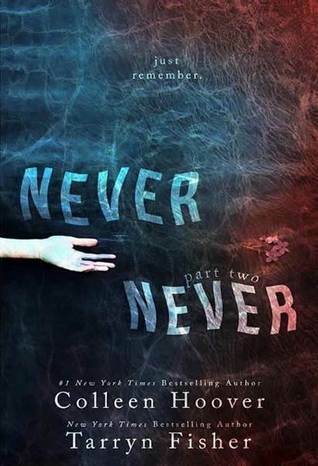 If you enjoyed _____, you’ll love Never Never!